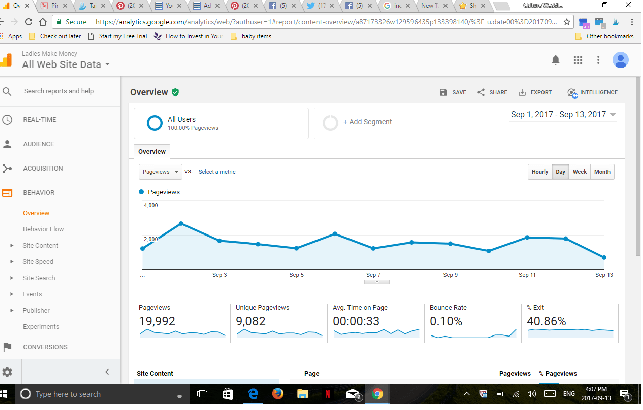 How can I increase blog traffic? How do I get more blog traffic to my site? How can I grow my page views on my website? Sound familiar? These are all frequent questions that most new and old bloggers typically ask themselves on a daily basis. I am here to tell you that I have the perfect solution for you. 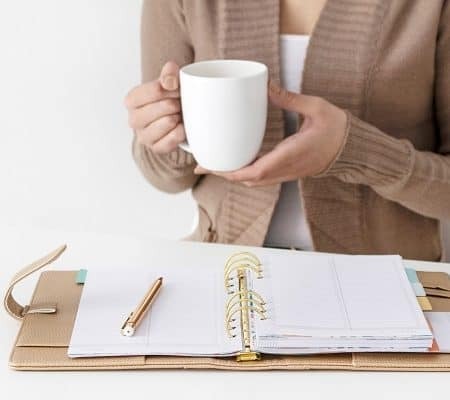 If you are here today, it’s because you do not want to spend another 5 hours promoting and marketing your blog just to end up with no results. 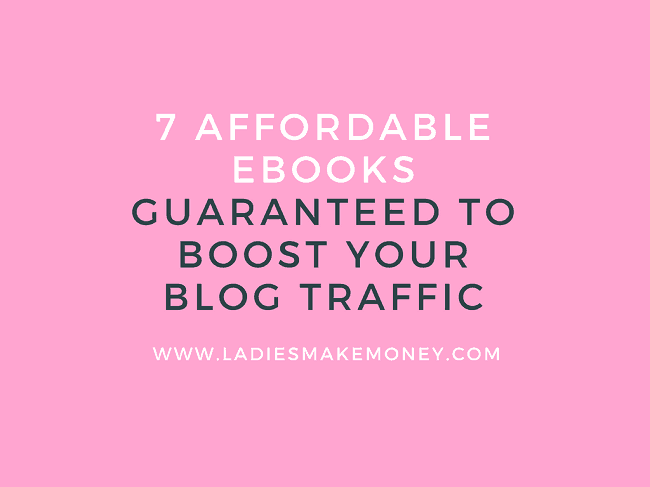 Here are 7 totally affordable eBooks guaranteed to boost your blog traffic. Do you want to start your own money making blog? Click the image below! A lot of you are frequently wondering and experimenting with different strategies to boost your blog traffic. There is nothing wrong with experimenting and tweaking to see what best works for you. Some niches get traffic with little to no effort such as the wedding industry and others have to work endlessly to get any traffic. If you want to keep working and experimenting no problem. But after 6 months of blogging, I caved and decided to get the help I needed to grow my blog quickly. One reason I did this was because I wanted to monetize my blog quickly. Do you need traffic to make money? No you do not. You need a targeted audience in order to start making money. 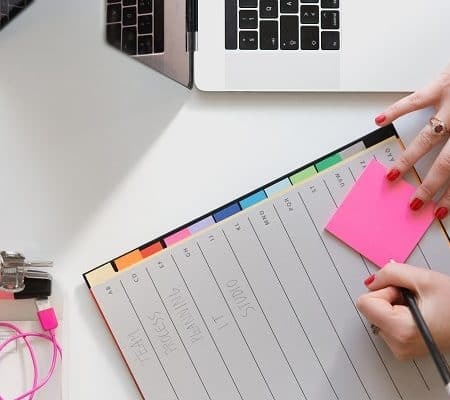 But if you want to work with Ad agencies or sponsored posts, a lot of them require you have a certain amount of consistent traffic per month. And because of these different factors I decided that investing in a book or two would be beneficial. What eBooks do I recommend to boost blog traffic? All the books recommended below, I have read. What? You spent all that money?? Well yes and no. I did not purchase them all at the same time, but I did eventually add them to my collection. I wanted to learn from the experts and girl am I glad I did. I bought a book each month and implemented the strategies. I am still implementing the strategies but I am glad I invested. It’s not yet the middle of the month and I already over just less than 20,000 page views. I barely got this number prior to reading these eBooks. And now I get emails from brands and bloggers wanting to work with me. Pretty neat! Ready to boost your blog traffic? 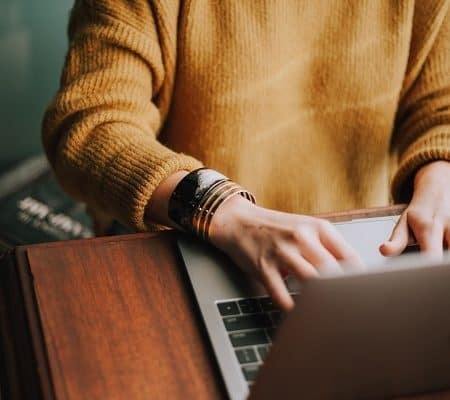 Let’s get started – Before that, I want you to read this post that really helped me drastically increase my blog traffic. This is one of my books. As I mentioned earlier, I was desperately trying to get blog traffic when I first started blogging and I wanted results right about now. Everyone was focused on Pinterest and I just wasn’t seeing the results that everyone was talking about (because I was doing it all wrong)! 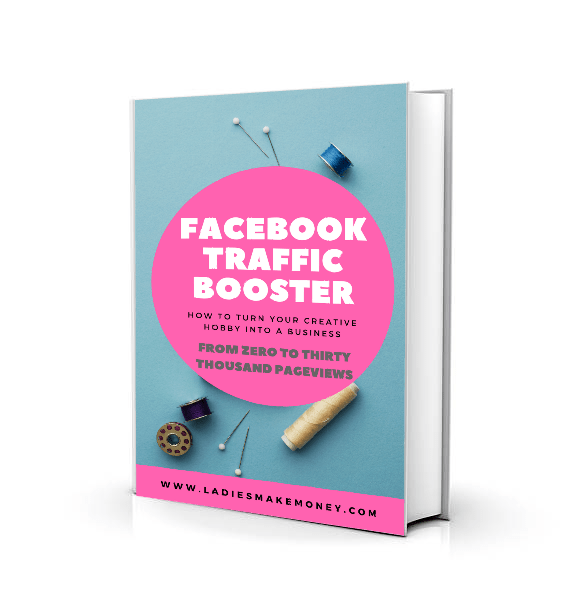 And so in the mean time, I went about finding ways to increase my blog traffic using Facebook (groups, Facebook Pages and finding ways to optimize my work for traffic). And it paid off. 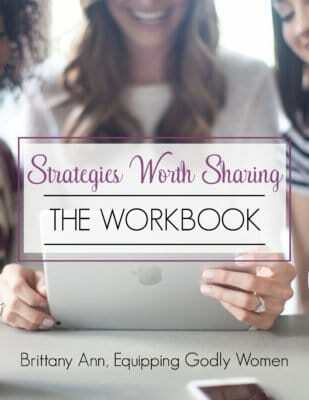 My full strategies are outlined in this book, including best times to post on Facebook, how to post your link for better results and how to connect with your tribe. And 30,000 page views later, I got the recipe I needed. And now you can mimic the same results to boost your blog traffic. Grab your copy today! This book is totally affordable at only $30.00. Carly is amazing. 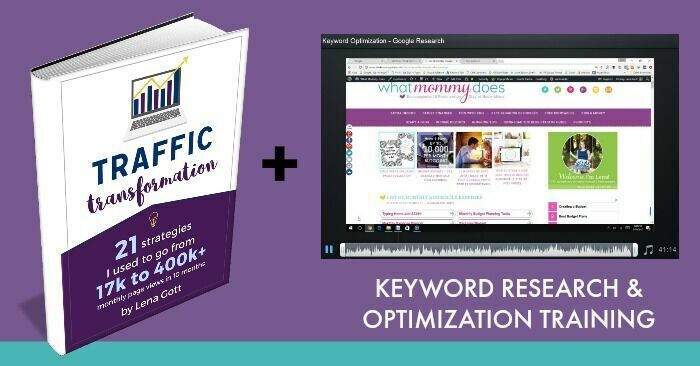 Her eBook is a must in your blog tool kit collection especially if you want to boost your blog traffic. 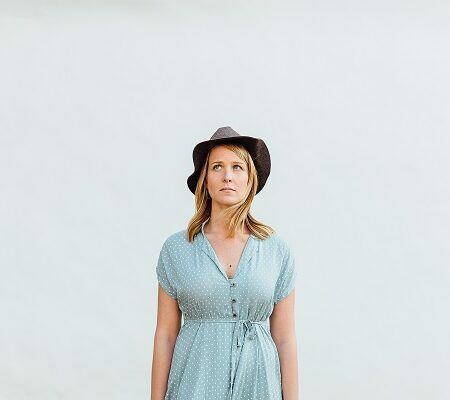 This amazing mama boosted her blog traffic from zero to over 200,000 in just 4 months. 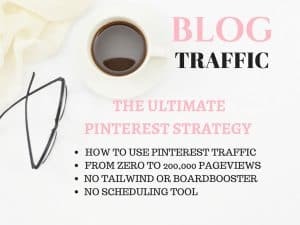 After using her strategy my traffic started increasing and Pinterest is now my number one traffic referral. It will definitely boost your blog traffic. This book is only $32.00 and if you want to read her story then head over here! Want to boost your blog traffic? 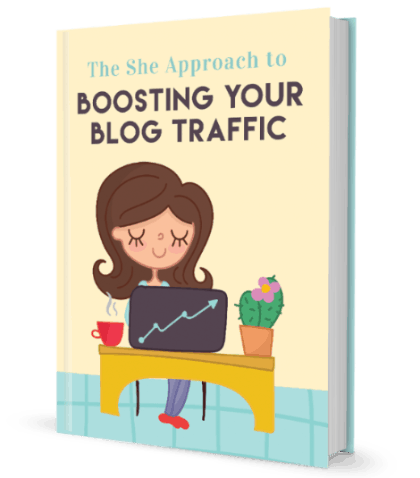 The She Approach has an amazing affordable eBook that is guaranteed to really boost your blog traffic. This book focuses on SEO (with a step by step guide) as well as a social media strategy which are all tailored to your unique needs. If you are ready to find your target audience and build a blog worth sharing, then do not hesitate my friends. This book is completely affordable at only $25.00! Read more about it here! This eBook was highly recommended by my good friend Michelle from Making Sense of Cents. I only bought it about 2 weeks ago and my Facebook page went from 550 to about 1009 right about now. My reach is already at over 2000 daily. This is the story about how one women grew her Facebook page from 2000 likes to about 100,000 in just 5 months. No she did not join any like for like threads (hate those) and no she did not use any paid ads. All organic. With the new likes, she was able to boost her blog traffic. I am pretty sure you can dish out $20.00 for this book? Read all the juicy details here! This right here was created by my girl Claire. She knows everything there is to know about Pinterest. I mean, just look at her Pinterest followings! 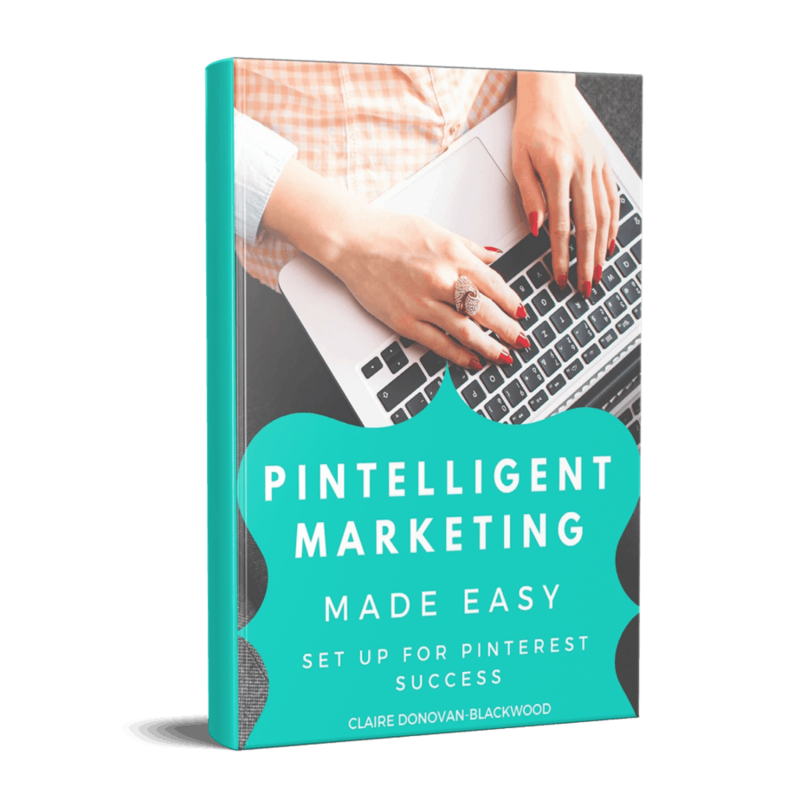 And when I asked her to guest blog on my site about using Pinterest keywords, she knew exactly what she was talking about! 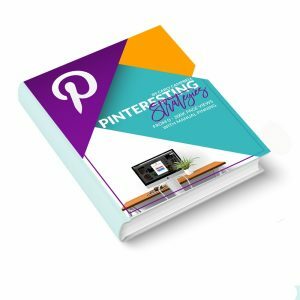 You can read all about it here: The Ultimate Mini Guide to Pinterest SEO. Because I knew she was the real deal, I didn’t hesitate to purchase her amazing eBook for only 29 pounds! She goes into the secret of Pin SEO and keywords. Learn where to add these super words to boost your blog traffic. I just got this book and I am going to do a full review on it soon. But this blogger is the real deal. The focus should be for you to Pin to get results. If you are not getting the results then what is the point? Don’t spend hours pinning this and that at this time or that time for little to no results! Learn more about what times to pin, how to schedule your work for maximum results.This amazing book goes for an affordable price of $34.00. 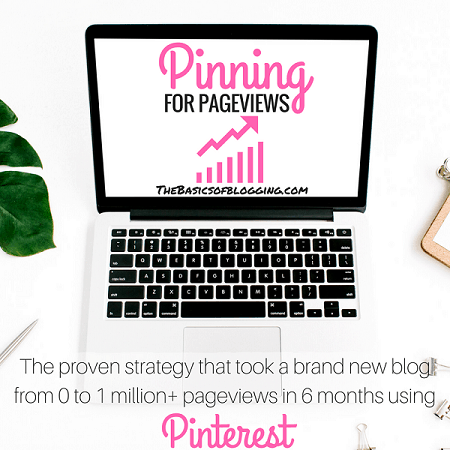 See how she went from zero to 1 million + pageviews in just 6 months! Alright, enough about Pinterest already. Ready to use proper SEO, rich keywords and other things to boost your blog traffic? Then this is the Ultimate guide. Before I write a blog post, I use her guide. It’s so helpful and I know I am no longer wasting time when it comes to writing optimized blog posts. She has a whopping 21 strategies that helped her go from 17,000 pageviews to over 400,000 pageviews. Honestly you need to start using her strategies prior to writing another post. SEO is crucial and she nails it! Her video is on point with a detailed tutorial. Although a bit more on the expensive side than the others, I do not regret purchasing it. When are people emailing me saying they found my blog on Google, I know its because of the strategies implemented from this course. This course is $79.00. I just went without coffee for 2 months to get it. Thanks Lena! Alright, there you have it! I am not saying go out and get each book (like I did- crazy me) but definitely get one or two. You can pair them up to diversify your blog traffic. For example a grab the Facebook book and an SEO one, or Pinterest and SEO if you are good at Facebook. You definitely need an SEO one for sure. You can invest in them,one at a time. Now off you go to make your blog better. Don’t forget to follow us on Facebook, Twitter, Instagram and Pinterest for some more money making/saving money tips. Thanks for taking the time to review these; I have never heard of any of them. 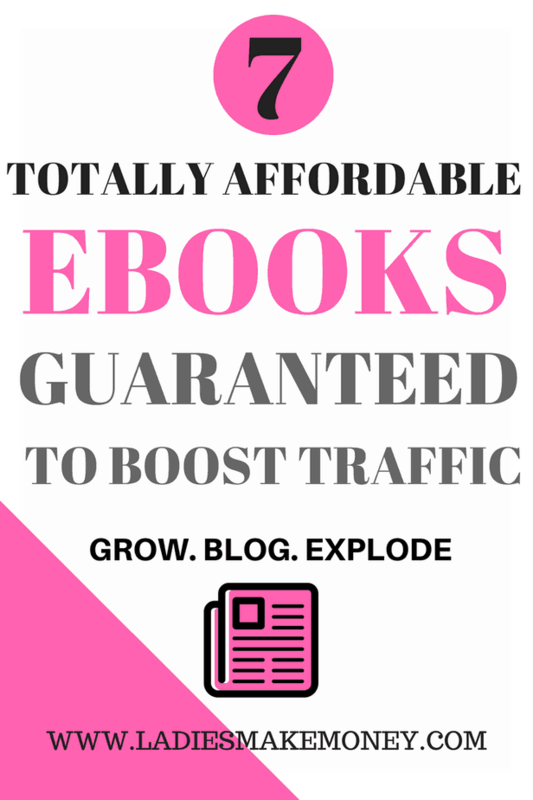 There are so many eBooks out there on social media strategies that it’s overwhelming. I think I’ll start with Pinteresting Strategies! Woohoo the are all great.. I never heard of these resouces. Thank you for sharing! This is great, thanks! Now I just need to make time to read them all. Thanks! I had only ever heard of one of these titles.